Nassau County Executive Edward P. Mangano and Nassau County Legislator Michael Venditto today announced that a large volunteer effort to cleanup Seaford’s Tackapausha Preserve will take place Saturday, August 16th at 10am. Volunteers are asked to wear protective clothing (long pants and sleeves), and bring gloves. 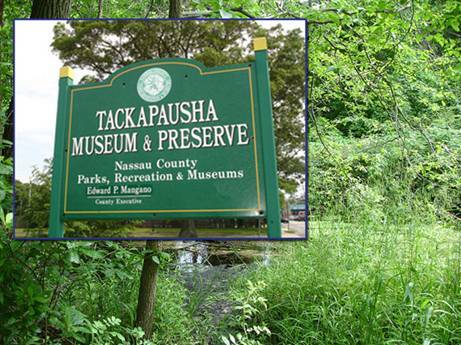 Tackapausha Preserve is an historic 84-acre sanctuary featuring oak forests, ponds, streams, small mammals and scores of bird species. The preserve includes five miles of marked trails to allow for visitors to see the entire preserve and all it has to offer, including streams and serene ponds. It is bordered by Merrick Road on the south and Jerusalem Avenue on the north. There is also a 3,000-square-foot museum on the property. For more information, please contact Legislator Venditto’s office at (516) 571-6212 or by emailing mvenditto@nassaucountyny.gov.